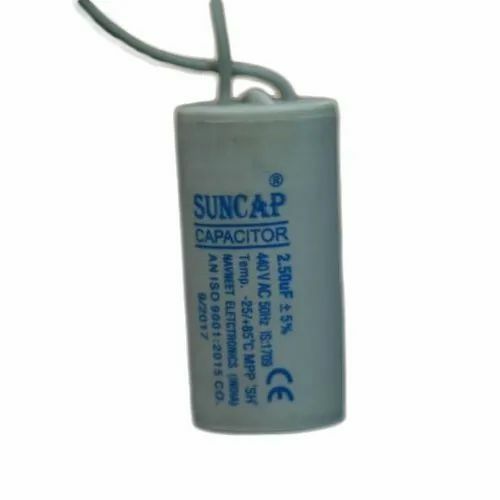 Comprehending the varied desires of our clients, we are instrumental in presenting a comprehensive range of 2.50 MFD Washing Machine Capacitor. Madan Electricals has wholesalers into a trustful entity and pioneered the industry by providing optimum quality Oil Capacitor,Electrical MCB, Electrolytic Capacitors. Due to our vendor’s expertise, we have been the industry leaders and thus our role becomes stronger to fulfill the diverse needs of our clients.